Evaluate and strengthen preparedness nationwide to respond to biological, chemical, radiological, or nuclear attacks to the United States. Reps. Colleen Hanabusa and Don Young are original cosponsors of the bipartisan legislation. The Civil Defense Accountability Act of 2018 would require the Federal Emergency Management Agency (FEMA), Department of Defense (DoD), and Federal Communications Commission (FCC) to publicly disclose incident and recommendation reports about the Saturday, Jan. 13, false alert. It would also compel ballistic missile civil defense agencies to review the current notification protocols for ballistic missile threats and study the best practices regarding civil defense emergencies to prevent a similar catastrophic mistake. In addition, the bill would instruct the Department of Health and Human Services (HHS) to publicly detail the ability of HHS and health care providers to respond to a biological, chemical, radiological, or nuclear weapons attack. Assess Current Reporting Procedures: Within 90 days, the Secretary of Defense, in coordination with the Secretary of Homeland Security and the Director of Federal Communications Commission, is required to submit a report to Congress regarding the current notification protocols for ballistic missile threats. This report will assess the notification protocols required under Federal Law or regulations of federal and state entities and the communications between these entities, after a ballistic missile threat is identified, during a ballistic missile threat, and regarding ballistic missile impact warnings. Establish Best Practices: Within 180 days of enactment, the Secretary of Homeland Security, acting through FEMA, is required to conduct a study to identify the best practices regarding civil defense emergencies. This study will identify plans for local, state, and federal communications before, during, and after a civil defense emergency. In addition, the study will include plans for State communication with residents and local and State security and contingency plans. The initial study shall include no fewer than 13 states, including Hawaii, Alaska, California, Washington, and five states bordering an ocean including the Gulf of Mexico. Within 180 days of enactment, the Secretary of State will also submit a report to Congress regarding the 13 state study including deficiency trends, best practices, and plans to improve public outreach regarding civil defense emergencies. The unclassified portions of this report will be disseminated to states within 270 days. 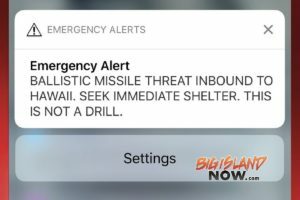 Evaluate Federal Response: Within 60 days of enactment, the Secretary of Defense, the Administrator of FEMA, and the Director of the FCC will provide to Congress and publish an online report detailing their agencies’ actions during the ballistic missile false alarm in Hawai‘i. The report will also detail corrective actions and recommendations to prevent future false alarms. Strengthen Public Health Preparedness: Within 180 days, the Secretary of Health and Human Services, through the Office of the Assistant Secretary of for Preparedness and Response, will submit a report to Congress and publish an online report regarding the ability of HHS and health care providers to respond to biological, chemical, radiological, or nuclear weapons attacks on the U.S. The Secretary is also required to submit recommendations to Congress and develop a public outreach program in coordination with local and State entities using these recommendations. The Secretary of Health and Human Services will also take into consideration the recommendations in the report when issuing grants under the Public Health Emergency Preparedness cooperative agreement and the Hospital Preparedness program. Section 2 – Findings: Findings note the traumatizing false missile alert sent to individuals, residents, and visitors in Hawai‘i on January 13; the President’s National Security Strategy that highlights a growing nuclear threat posed by North Korea; the re-implementation of monthly outdoor warning siren system tests in Hawai‘i; a HI-EMA launch-to-landing ballistic missile estimation from North Korea to Hawai‘i; and a Missile Defense Agency assessment that sophisticated ballistic missile technology is widely available to adversary nations of U.S. and its allies. Section 3 – Report Regarding Current Ballistic Missile Notification Protocols: Within 90 days, the Secretary of Defense, in coordination with the Secretary of Homeland Security and the Director of Federal Communications Commission, is required to submit a report to Congress regarding the current notification protocols for ballistic missile threats. This report will assess the notification protocols required under Federal Law or regulations to federal and state entities and the communications between these entities, after a ballistic missile threat is identified, during a ballistic missile threat, and regarding ballistic missile impact warnings. Section 4 – Civil Defense Emergency Best Practices: Within 180 days of enactment, the Secretary of Homeland Security, acting through FEMA, is required to conduct a study to identify the best practices regarding civil defense emergencies. This study will identify plans for local, state, and federal communications before, during, and after a civil defense emergency. In addition, the study will include plans for State communication with residents and local and State security and contingency plans. The initial study shall include no fewer than 13 states, including Hawai‘i, Alaska, California, Washington, and five states bordering an ocean including the Gulf of Mexico. Within 180 days of enactment, the Secretary of State will also submit a report to Congress regarding the 13 state study including deficiency trends, best practices, and plans to improve public outreach regarding civil defense emergencies. The unclassified portions of this report will be disseminated to states within 270 days. 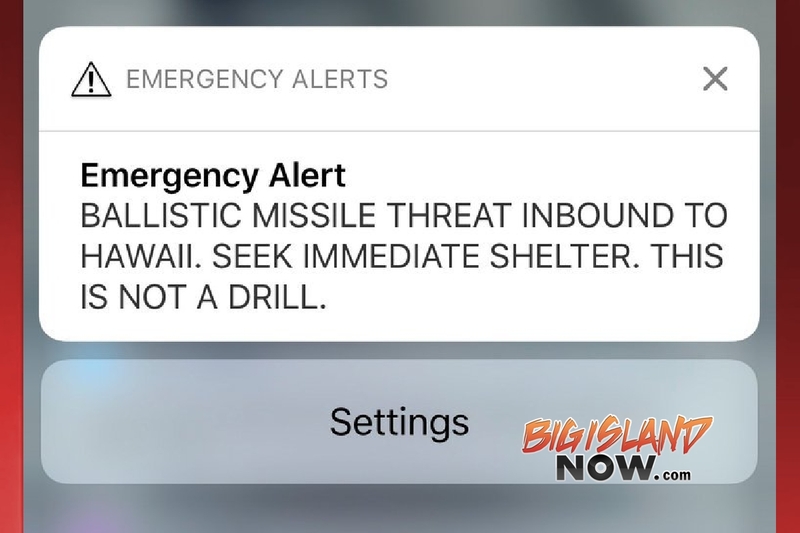 Section 5- Incident Report Regarding Ballistic Missile False Alarm: Within 60 days of enactment, the Secretary of Defense, the Administrator of FEMA, and the Director of the FCC will provide to Congress and publish an online report detailing their agencies’ actions during the January 13 ballistic missile false alarm in Hawai‘i. The report will also detail corrective actions and recommendations to prevent future false alarms. Section 6 – Public Health Recommendations: Within 180 days, the Secretary of Health and Human Services, through the Office of the Assistant Secretary of for Preparedness and Response, will submit a report to Congress and publish an online report regarding the ability of HHS and health care providers to respond to biological, chemical, radiological, or nuclear weapons attacks on the U.S. The Secretary is also required to submit recommendations to Congress and develop a public outreach program in coordination with local and State entities using these recommendations. The Secretary of Health and Human Services will also take into consideration the recommendations in the report when issuing grants under the Public Health Emergency Preparedness cooperative agreement and the Hospital Preparedness program. Today is a day most of us will never forget. A terrifying day when our worst nightmares appeared to become a reality. A day where we frantically grabbed what we could, tried to figure out how and where to shelter and protect ourselves and our ‘ohana, said our “I love yous,” and prayed for peace. I know firsthand how today’s false notification affected all of us here in Hawai‘i, and I am sorry for the pain and confusion it caused. I, too, am extremely upset about this and am doing everything I can to immediately improve our emergency management systems, procedures and staffing. I have spent the morning with Gen. Logan, Hi-EMA Administrator Vern Miayagi and their teams and have directed that they make immediate changes. We are doing everything we possibly can to prevent this from happening again. I encourage all of us to take stock, determine what we all can do better to be prepared in the future – as a state, county and in our own households. We must also do what we can to demand peace and a de-escalation with North Korea, so that warnings and sirens can become a thing of the past.